Bash for Cash combines a cash give-a-way with an evening of fun and food. The grand prize is $10,000, while there are also 61 other prizes ranging from $50 to $3,000. And every entry has a chance for every prize. 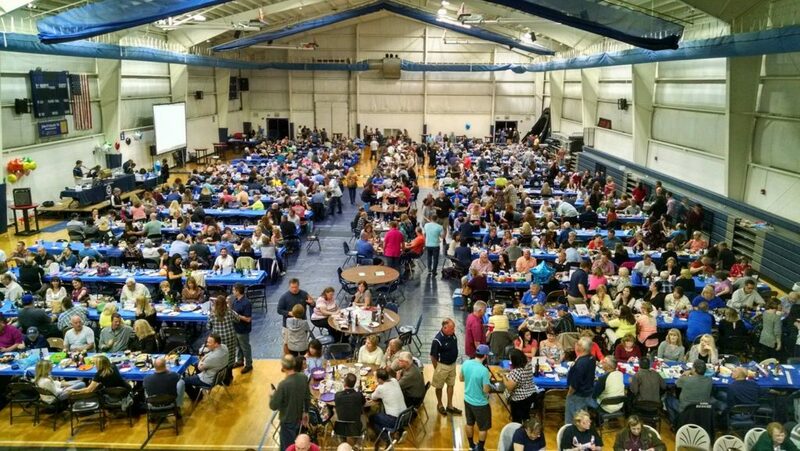 On the day of the event, every ticket purchased allows two adults to attend the festivities which include pizza, beverages, raffles, split clubs, and games. Tickets for the Bash for Cash cost $50. They are available by contacting Mrs. Julie Wipperman at 683-4824, ext. 223, or jwipperman@smhlancers.org. A view from high above the packed Bash for Cash party floor. Click here for a list of winners from the 2017 Bash.